The first-born son of Haman (Esth. ix. 7). In the twelfth century the name obtained a literary meaning. 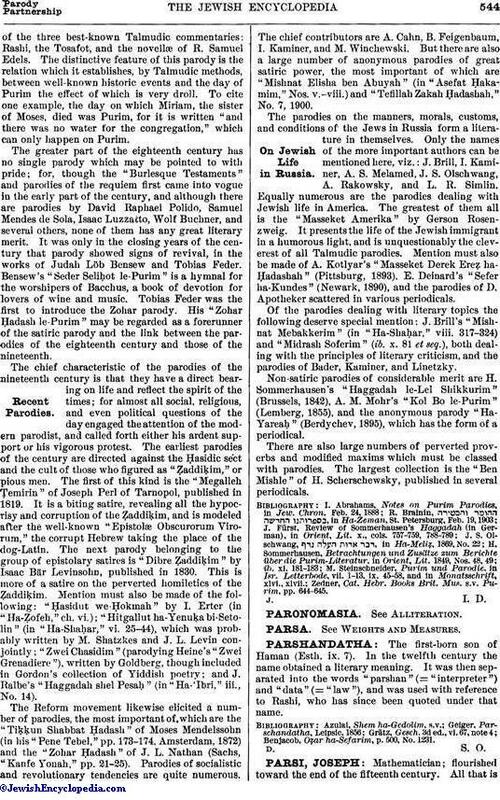 It was then separated into the words "parshan" (= "interpreter") and "data" (= "law"), and was used with reference to Rashi, who has since been quoted under that name. Benjacob, Oẓar ha-Sefarim, p. 500, No. 1231.